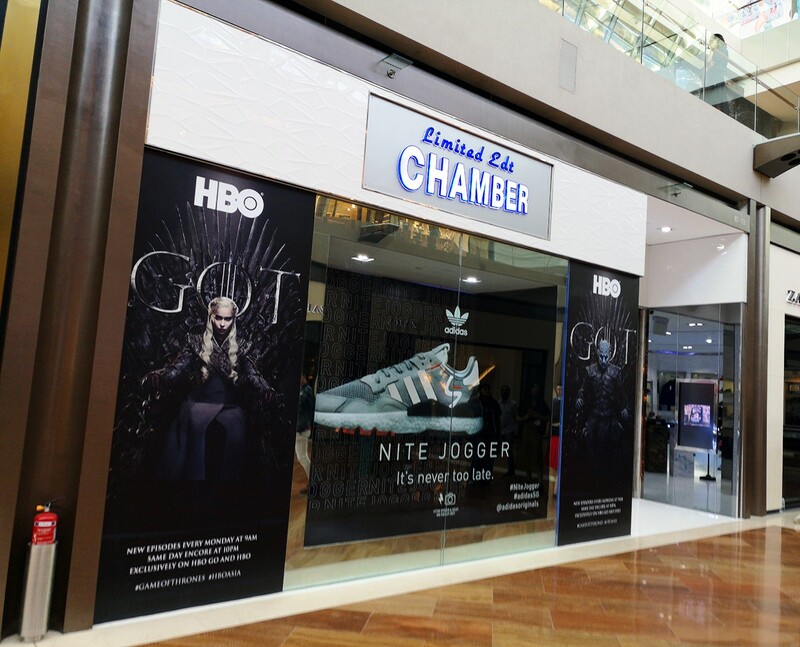 Winter is finally here, with the long-awaited premiere of Season 8 of HBO’s Game of Thrones finally in full swing earlier this week. 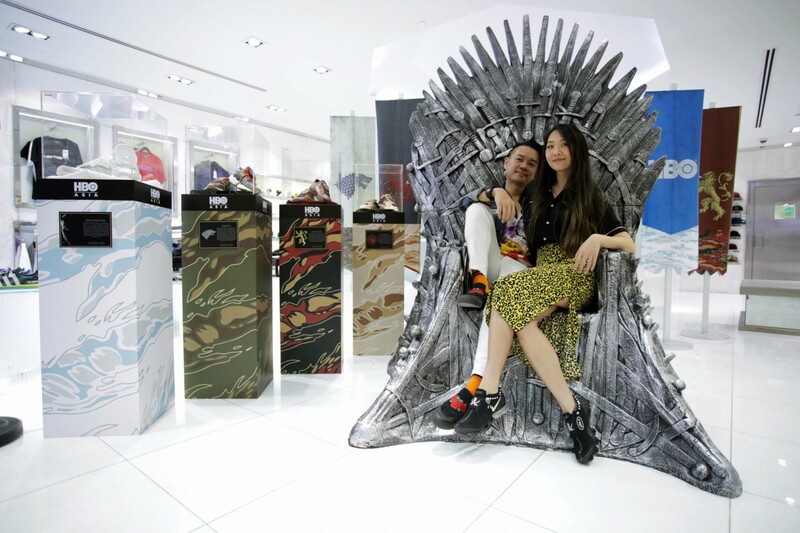 The buildup to the premiere was littered with tons of new Game of Thrones merch, board games and other goodies lined up for fans across the globe to show their love for the show with. 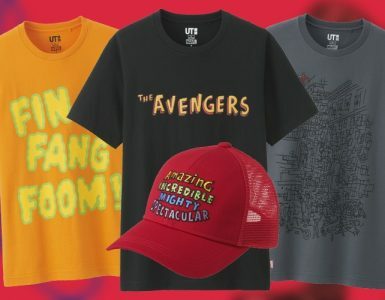 In Singapore, local homegrown brand SBTG has teamed up with HBO Asia to come up with something special for the occasion. 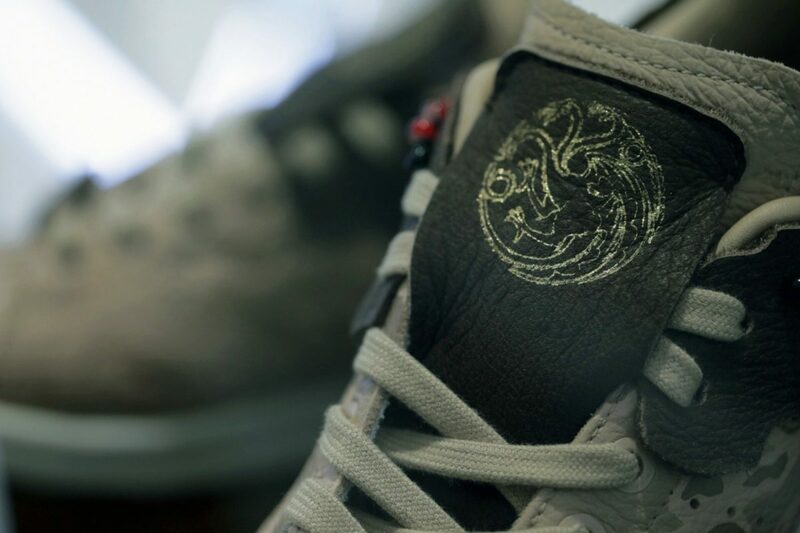 They are the Game of Thrones X SBTG limited sneaker collection, and they look fabulous. 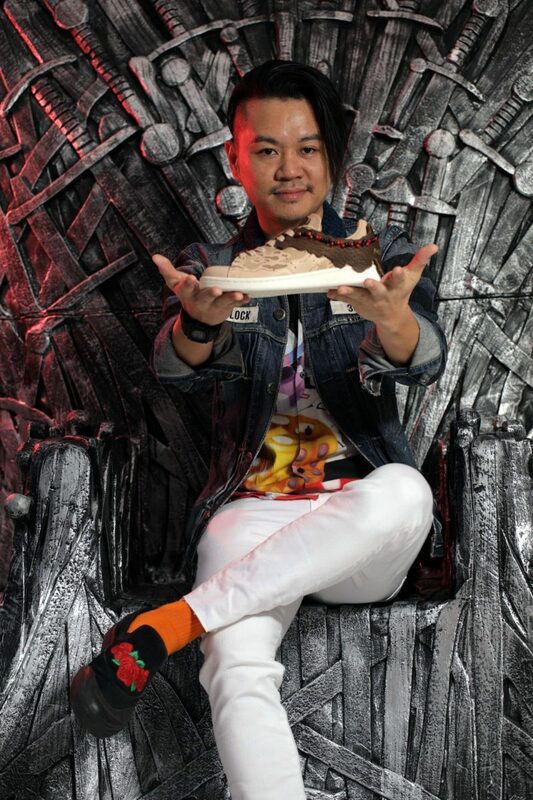 Designed by local sneaker and streetwear designer, Mark Ong a.k.a Mr Sabotage, and his wife and partner, Sue-Anne Lim a.k.a Mrs Sabotage, these sneakers depict the colours of the three Great Houses that heavily feature in Season 8, as well as the nefarious White Walkers. 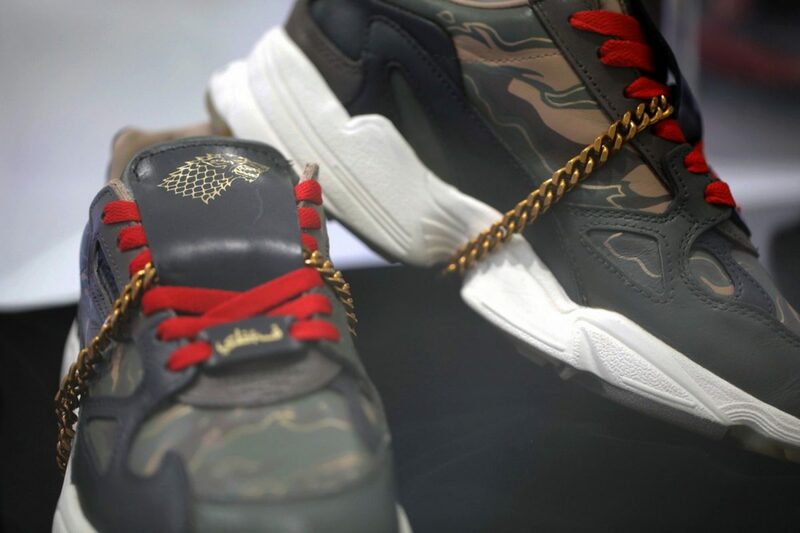 Each design bears Ong’s signature military-style camo patterns, mixed with the iconic colour schemes for each House. 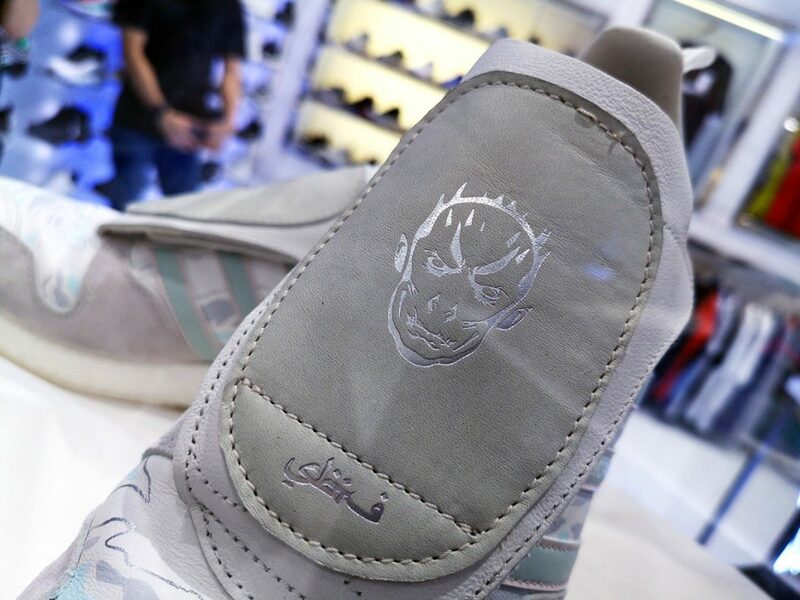 There are also engravings of the mottos for each House etched around the heel and instep areas of the sneakers. 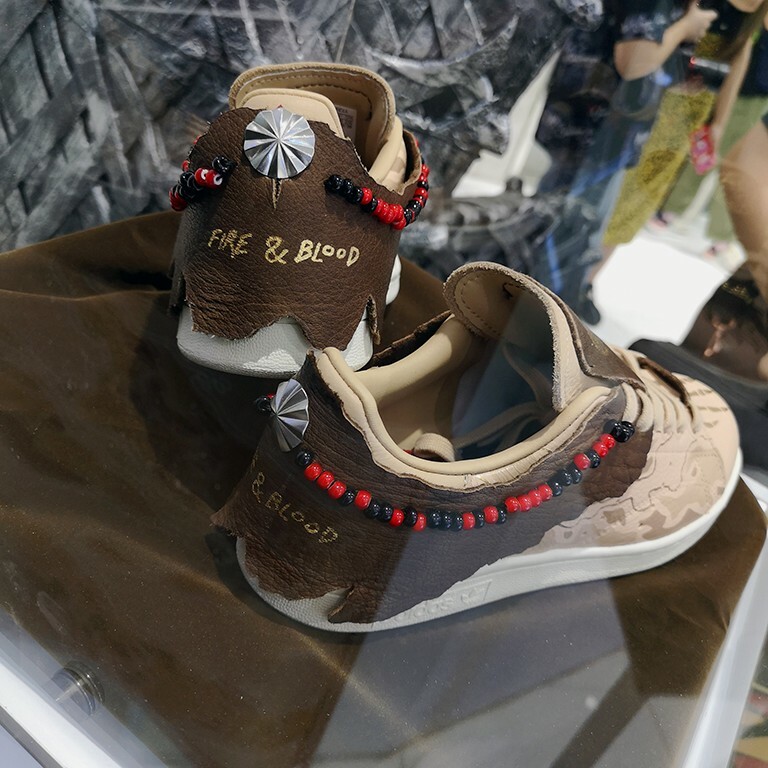 To certify the authenticity of each pair, the Game of Thrones X SBTG sneakers come equipped with Near-Field Communication (NFC) chips powered by VeChain. 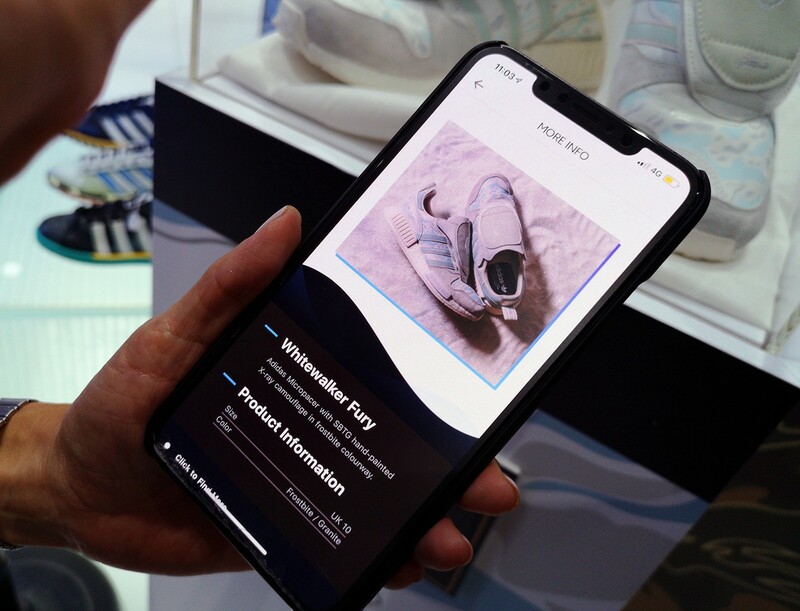 All you need to do is boot up your VeChainThor app, scan the chip located in the tongue of the sneaker, and you’ll be able to view the product information, as well as work-in-progress videos and more on the app itself. 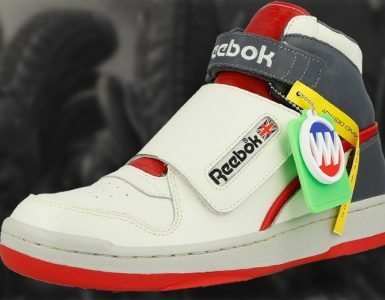 It’s a foolproof way of ensuring these SBTG sneakers are legitimate and yours. 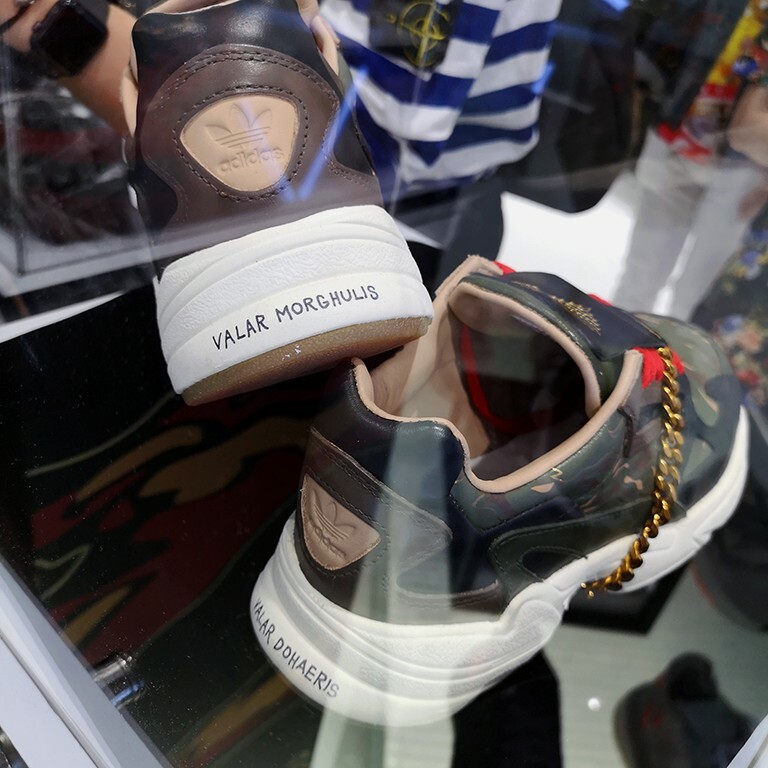 “As fans of the series, it was a no-brainer to take this project on as it allows us to have fun working as a team,” mused Ong about the collaboration with HBO Asia for the sneakers. 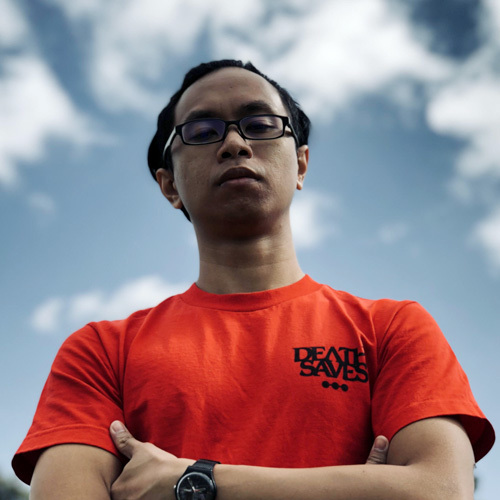 Mark Ong a.k.a Mr Sabotage, founder of SBTG in Singapore. 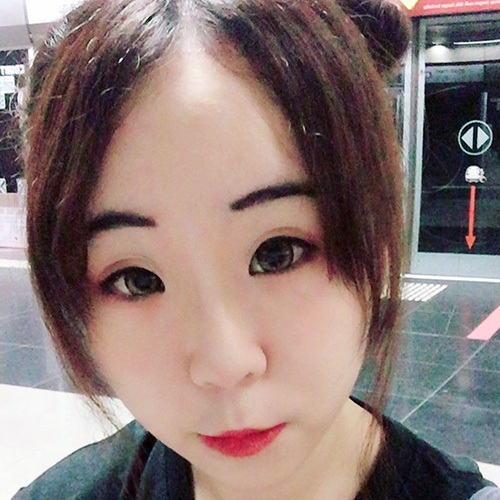 Mark Ong and his wife and partner, Sue-Anne Lim. 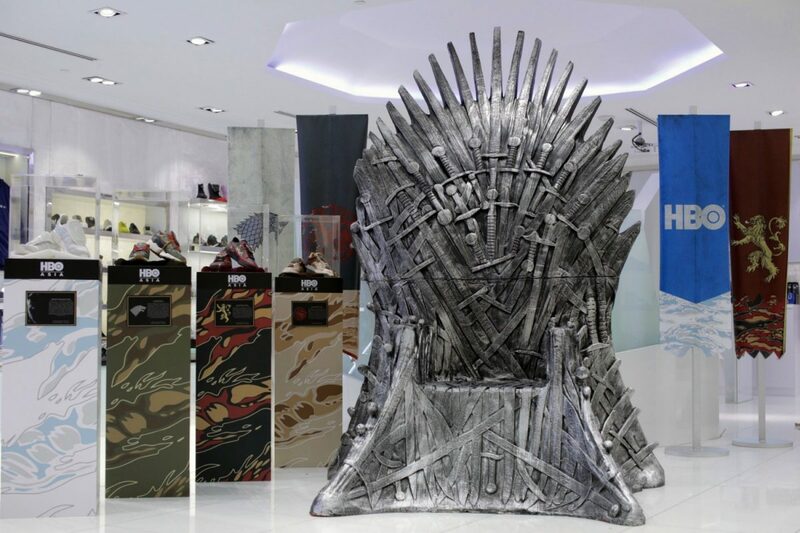 While the Game of Thrones X SBTG collection isn’t directly for sale, HBO Asia are giving these away right now, with a few designs via other regional partners. 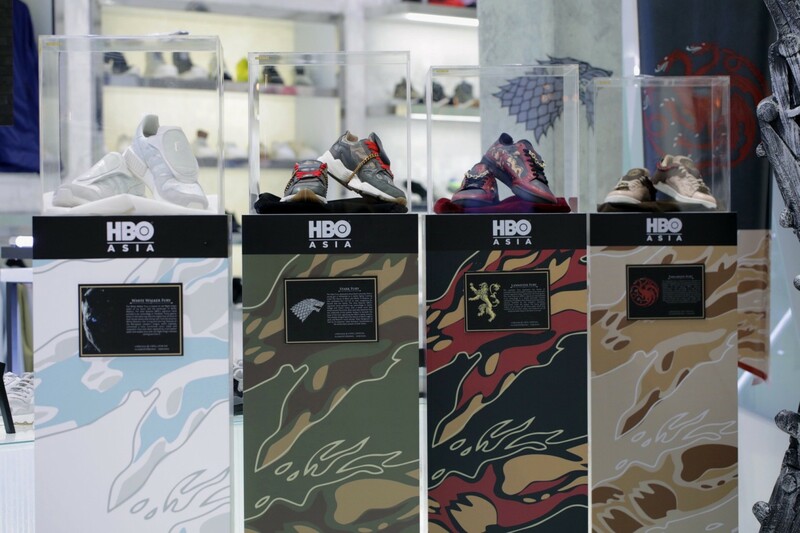 The Game of Thrones X SBTG sneaker collection will go on display in a showcase at Limited Edt Chamber at Marina Bay Sands, Singapore from April 17 – 30. 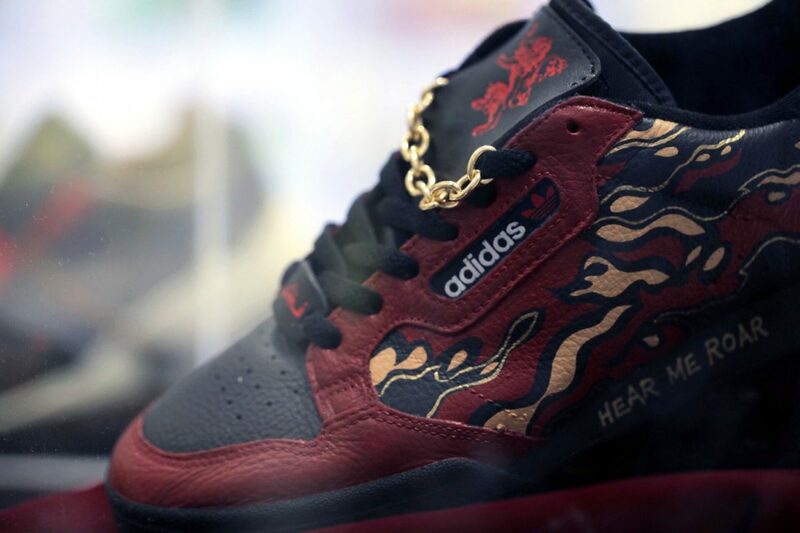 If you happen to be around the area during that time, it’d be a good chance to check these stylish babies out. 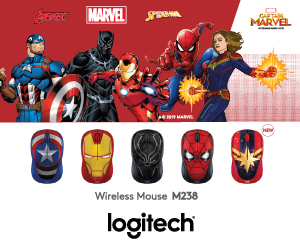 Season 8 of Game of Thrones is now live from April 15, with a new episode premiering weekly every Monday, 9am and a primetime encore screening at 10pm. 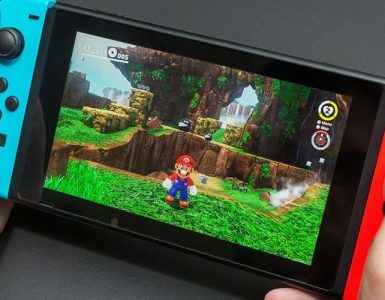 You can catch it on HBO’s own mobile streaming service, HBO GO, as well as Singapore’s TV networks that support the channel, mainly StarHub, Singtel, and Toggle.